At Anna K. Murray & Associates, P.C., in Jeffersonville, Indiana, we are a law firm that can support you with all your legal needs, including personal injury, criminal defense and family law. If you are hurt, put us to work. If you are looking at prison time, get us on the line. And if you are dealing with divorce or another family law problem, we will help you get what you deserve. Our law firm is strongly equipped to handle a variety of practice areas, including personal injury, criminal defense, family law, landlord-tenant law and probate. Since opening our doors in 2010, our lawyers have worked hard to protect our clients from suffering further harm. When you hire us, we will aggressively pursue a fair settlement or verdict on your behalf. 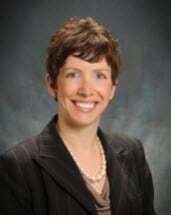 Our principal attorney, Anna K. Murray, has been in practice since 2008. Her personable yet professional approach is a pleasant contrast from the stereotypical stuffy lawyer. Our clients are able to relax and trust that Mrs. Murray and her legal team will provide exceptional service. Anna K. Murray & Associates, P.C., is open Monday through Friday, from 9 a.m. to 5 p.m. We offer free consultations and accept credit cards. Our law office is conveniently located on the corner of Court Street and Watt Street, directly across the street from the Clark County Courthouse in Jeffersonville, Indiana. Free public parking lot and street parking is available.